Girl Coders Shape Runway Look @GOOD #WearableWednesday « Adafruit Industries – Makers, hackers, artists, designers and engineers! Created through a partnership between Posen and Google’s “Made With Code” initiative, the LED-animated dress not only wowed spectators with its melding of high tech and high fashion, but is intended to call attention to the importance of programming knowledge for a generation of girls disproportionately underrepresented in the field of computer science. 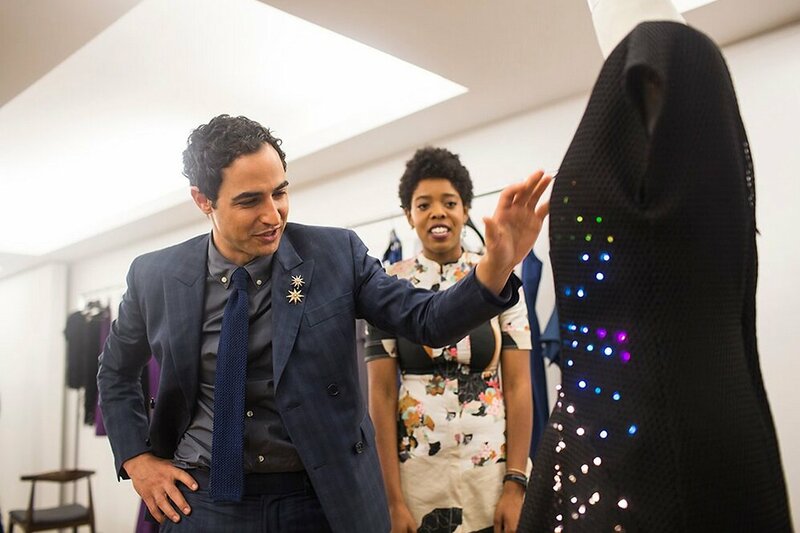 To create the dress’ dynamic LED patterns, girls from New York organizations like Flatiron School, Black Girls Code and the Lower East Side Girls Club all worked to code their own unique animated designs, having been given a single day to tackle the project, but without being told exactly what their work was going to be used for, reports New York Magazine. Only later did they learn that Maddy Maxey, a fashion engineer and Made With Code mentor, had used the girls’ coded sequences for the Posen showcase. Check out our interview with Maddy about creating the dress.